Luisa developed Algodones Mayas into an international Brand. Since 1989, her family have been growing naturally coloured green and brown cotton in Guatemala. 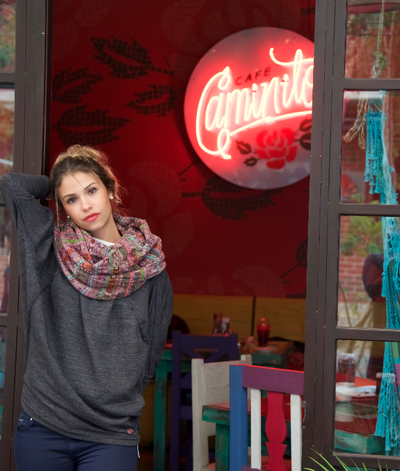 The brand, Algodones Mayas is committed to design and development of high quality naturally coloured hand woven and knitted home and fashion accessories. In 2013, Luisa introduced yarn and fabric from The New Dehim Project which adds an upcycled denim blue to the existing natural color palette of green, brown and off white that Algodones Mayas has always workewd with. 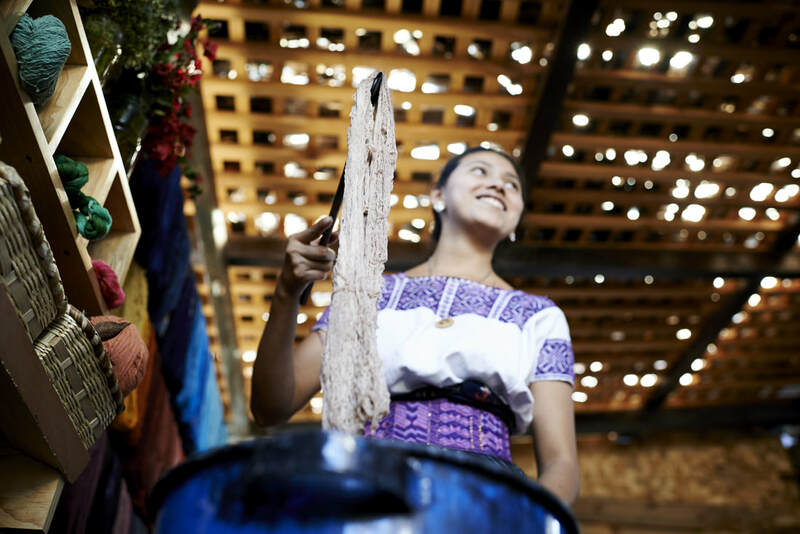 The fundamental grounding concept of Algodones Mayas has been to preserve and promote Mayan tradition while providing a dignified way of life to several women of Mayan ethnicity who support their families. Over the years, Algodones Mayas has developed a large network of 300 skilled artisans and weavers from different regions of the country. Artisan families across three generations have become part of the ‘algones mayas family’ and have continued to deveop new product lines while offering classic collections over the years. Algodones Mayas offers a collection of fashion accessories, Christmas decorations, home furnishings and accessories as well as uniquely designed kitchen napkins and table mats using traditional Mayan motifs but developed for a contemporary international customer. ÚKUA LOV manufactures 100% organic co on knit fabrics. By tapping into an old Mayan tradition of dyeing fabrics using natural ingredients such as plants, vegetables and fruits, Ukua Lov has created a unique colour pale e which not only looks beautiful, but also keeps the environment safe and healthy. The founders of Ukua Lov, Itzia, along with husband, Daniel, have worked to take the traditional technique and modernise it so as to be able to produce volume and consistency for the mainstream commercial market. While they are keen to sell the fabric to interested brands, retailers and designers, they are also experimenting with their own rst collection of babywear. Having just had her own rst baby, Itzia nds this to be a very special line, which means more than just a collection to her. It’s a part of her life. 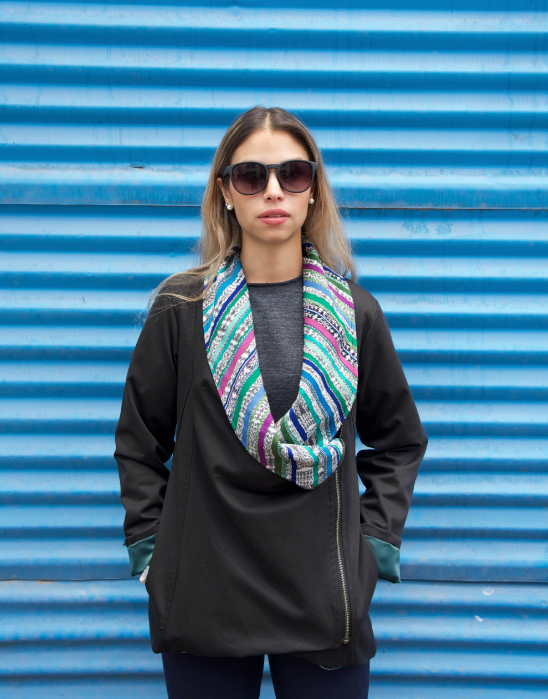 Jaspe Maya Moderno is a young brand created by two enterprising ladies, Gabriela and Victoria from Guatemala. Their love for sustainability combined with their passion to convey the beauty and skills from Guatemala lead them to come together and develop this beautiful environmentally friendly and contemporary brand. The collection includes a combination of fabrics such as recycled denim jersey sourced from a local mill made using off cuts of denim jeans and Guatemalan traditional fabrics sourced from across different parts of Guatemala. 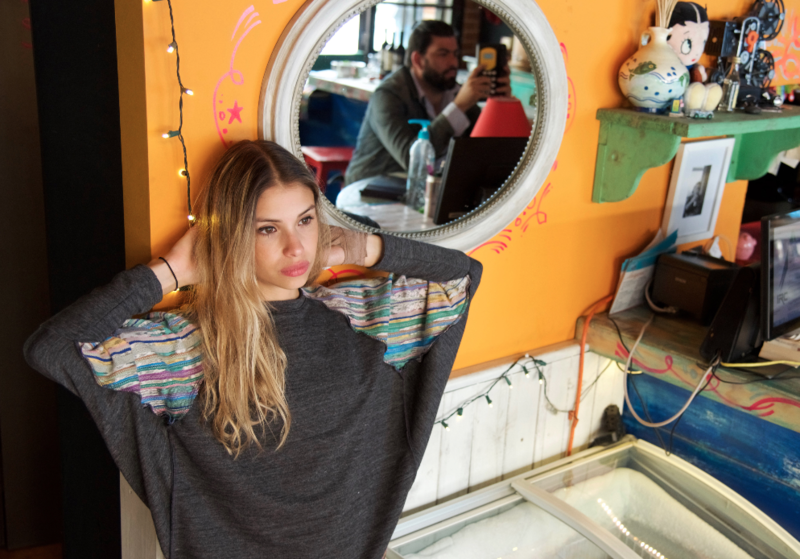 Each garment can be traced back to the source and is free from harmful chemicals and is manufactured in Guatemala. Gabriela and Victoria handpick each type of vintage fabric sourced from different regions across the country to ensure quality and sustainability of the complete collection. They have recently opened their first store in Guatemala City and are excited about the possibility to promote their traditions and their passion globally. Story: The New Denim Project is the newest and most innovative fabric line at Iris Textiles. We are an industrial textile group, operating since 1956 in Guatemala. Thanks to the e orts of various generations, we have continued to evolve until today in the manufacture of 100% natural co on yarn, fabrics, garments and accessories. Our main objective has been to unite technology and ecology in the production of textiles in order to maintain our commitment to quality and remain environmentally and socially responsible in the market. Our upcyled denim fabrics are made from a unique blend of 100% natural co on with upcycled pre-consumer denim waste. This waste is ground back into ber, spun into new yarns, and woven into new sustainable & exclusive fabrics. Using NO chemicals nor dyes, we manage to save 20,000 liters of water per kilogram of upcycled material! We wish to educate consumers- people must know that beautiful premium quality textiles should not cost the earth. Sustainable textile are just as current and progressive as any other conventional textiles- and can make a di erence for sustainable development worldwide. is not just about solving the negative- it’s about creative a positive. Inspire and be inspired! At Iris Textiles we o er a full package service. We manufacture yarn, fabric and nished products (specializing in home, kitchen/tabletop products and accessories). All 100% upcycled, sustainable, natural, chemical-free and eco-cool.